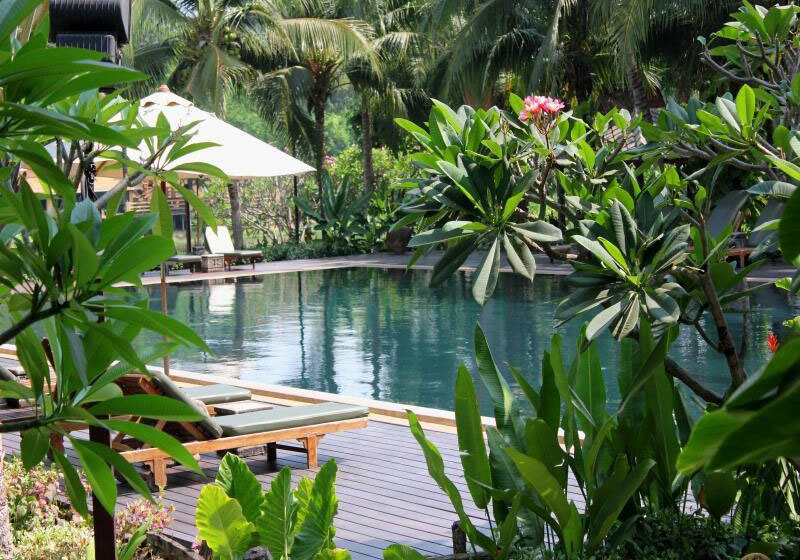 One of the most recommended resorts located by River Kwai is Royal Riverkwai Resort & Spa. The resort has the guestrooms and the private houses built in mixed style (Tropical-Bali), overlooking the glorious river. The 66 guestrooms are in the tropical style building. The interior of each room is also impressive. By the way, there are 8 private houses with are also suitable for a guest coming with his group. Short Description: One of the most recommended resorts located by River Kwai is Royal Riverkwai Resort & Spa. The resort has the guestrooms and the private houses built in mixed style (Tropical-Bali), overlooking the glorious river.